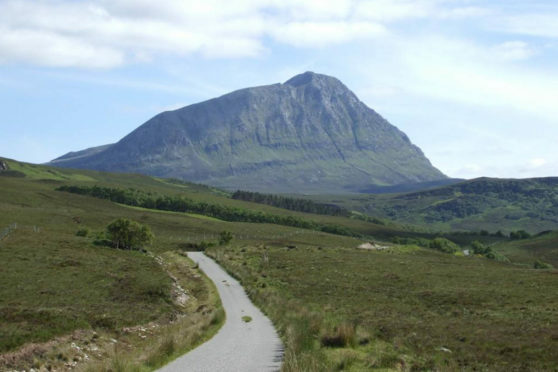 Two men have died after suffering a fall on Ben Hope in Sutherland. Concerns were raised for the two walkers at around 3.45pm yesterday afternoon. A search operation was launched involving the Assynt Mountain Rescue Team and HM Coastguard helicopter. Police confirmed that the bodies of the men were discovered by the helicopter crew, on the north-west side of the mountain, shortly after 2am this morning. The bodies have now been recovered. A spokeswoman for the Maritime Coastguard Agency said the initial reports were that at least one of the hikers had fallen between 656ft to 984ft and that they had raised the alarm by mobile phone. At least one of them had suffered back injuries. Ben Hope is the most northerly of the Munros and is situated six miles south west of Tongue. Local Highland Councillor Hugh Morrison, who runs Smoo Cave Hotel in nearby Durness, said: “We get a lot of people stay with us just to climb Ben Hope – even in winter – because it’s the most northerly Munro. “The north westerly side they have been found on is very sheer – and they would not have stood much of a chance falling far on that side. “But I regard Ben Hope as a very safe mountain – in fact I can’t think of any previous fatality there in over 30 years. There are very few accidents.